Latin American Exterminating is the company to count on for excellent cluster fly control. Maybe you are wondering what a cluster fly is or if it is another name for a housefly. Well, cluster flies are different from houseflies in that the former are relatively more abundant and come with a darker color than the latter. Besides that, cluster flies fly at a slower pace than houseflies, and their wings overlap while they are at rest, but those of their counterparts remain separate when not flying. Cluster flies are in other words referred to as attic flies and are common household pests in Long Island and New York at large. An adult cluster fly is about eight to ten millimeters long and its abdomen is checkered with dark grey hue. Its thorax has short hairs which are golden in color. Cluster fly infestation is characterized by the presence of a swarm of flies on your window sill, dead or alive during the late fall or early winter. However, you can see the overwintering types in your living space the entire winter season, spring as well as the fall. Perhaps, the question crossing your mind is “what is the effect of cluster fly in my house?” Unlike houseflies which are associated with the transmission of pandemics like dysentery, among others, cluster flies haven’t been found to responsible for the spread of any illness. These pests don’t cause damage to your structure as well. However, their clustering around parts of your house, mostly windows and walls, leaves stains as a result of their excrement on the areas. They can be a real nuisance once they invade an indoor space in large a number. One interesting thing about cluster flies is that they cease to reproduce once they enter into your house or any other building but that doesn’t make them wanted visitors anyway. There are limited options for cluster fly eradication once these pests enter your house or any other building. Although it isn’t difficult to swat or vacuum those that have already gotten their way in your living space due to their sluggish movement, their extermination is a vicious circle since more will possibly appear after exterminating some of them. Even if chemicals can be an effective cluster fly extermination method, the fumigation leaves many dead or nearly dead cluster flies on the areas they had inhabited. These dead pests can make your house more vulnerable to an infestation of a secondary pest like beetles as well as rodents. Therefore, exclusion and prevention are the most effective ways of cluster fly control. Keep your home in good condition besides implementing pest-proofing measures which involve caulking and filling all the cracks and crevices in your building. These openings are mostly found around windows, vents, and electrical outlets, along with the roof, under and inside eaves as well as at the openings of pipes wires and cables. Also, make sure that all your house’s doors and windows are tightly fixed and repair all holes in your screens if any. It is also advisable to use halogen yellow or sodium lights for outdoor lighting to minimize the attraction of these pests to your building. Cluster fly control isn’t a breeze to inexperienced people as some openings may be too tiny or hidden to identify. 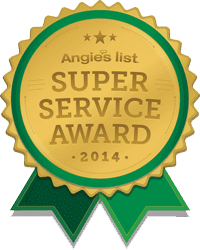 If you are a resident of Nassau County or Long Island, it is paramount to seek professional help from trustworthy cluster fly exterminator Nassau County. Latin American Exterminating has proved to be the best company to count on for pest control Long Island and many other parts of New York, having offered top-notch pest control solutions to thousands of homes and businesses in the areas for years. Besides, we are insured and licensed to operate in the vicinity. Are you experiencing cluster fly issue in your home or business? Call us now for a free estimate.